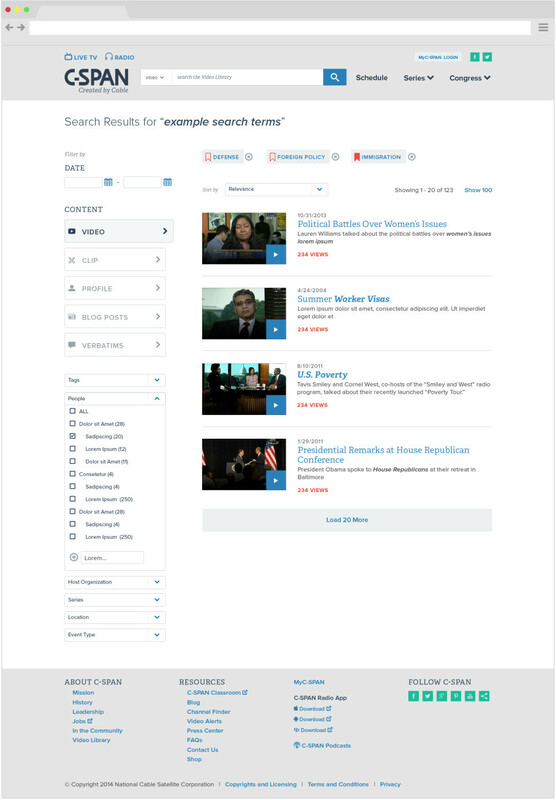 I started on the project after the strategy engagement was finishing up, so I was able to quickly absorb the audience, goals, and competitive landscape information to inform the wireframing process.The timeline was incredibly short and we were not able to work directly with the backend of the site, but ultimately the site met its goals of transparency and accessibility. 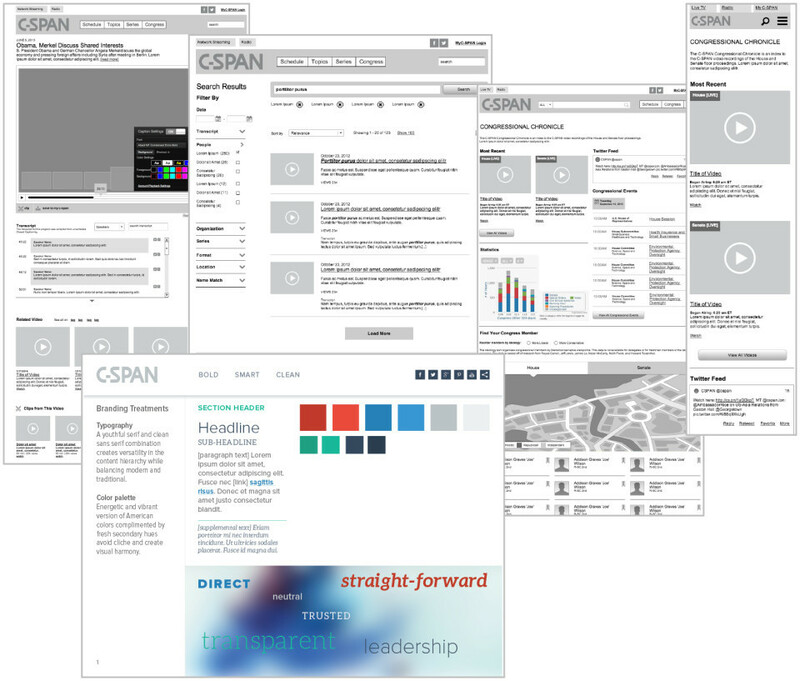 The visual systems, such as color meanings and custom icon fonts, held up and were flexible. I am most proud of the schedule and the search I originally designed—the goals and technical needs changed quite a bit during the design process but we were able to deliver solid solutions. 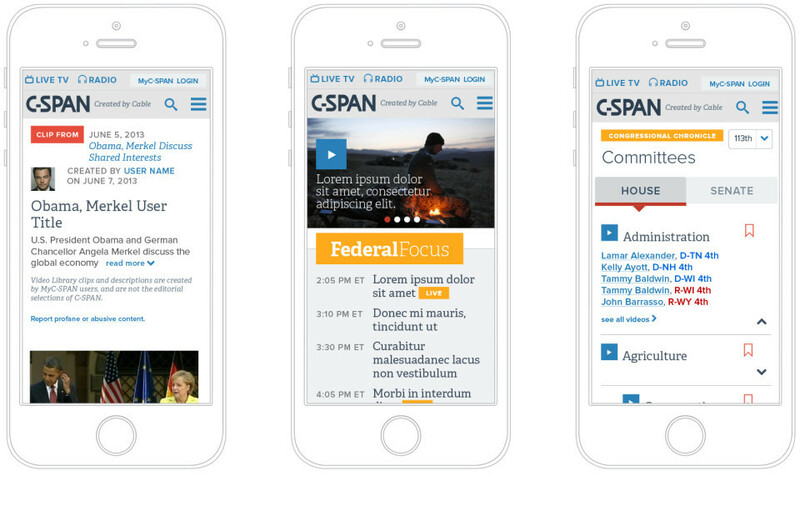 Overall this was a very challenging project that would have benefited from user testing and more time, but I was honored to get to work with the C-SPAN team on such an important service.